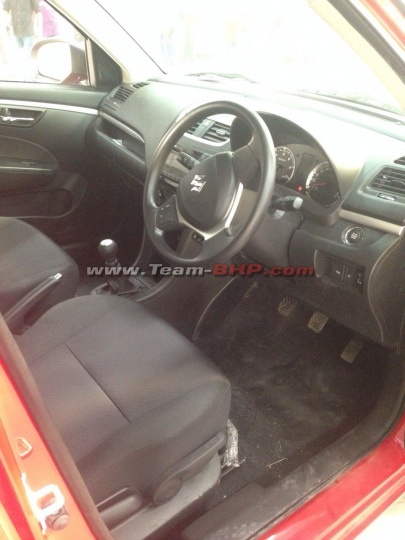 Seen here on this page are a handful of upcoming Swift facelift interior and exterior imaegs that have been taken by a TeamBHP member during what seems to be the shooting of the upcoming model’s TVC. 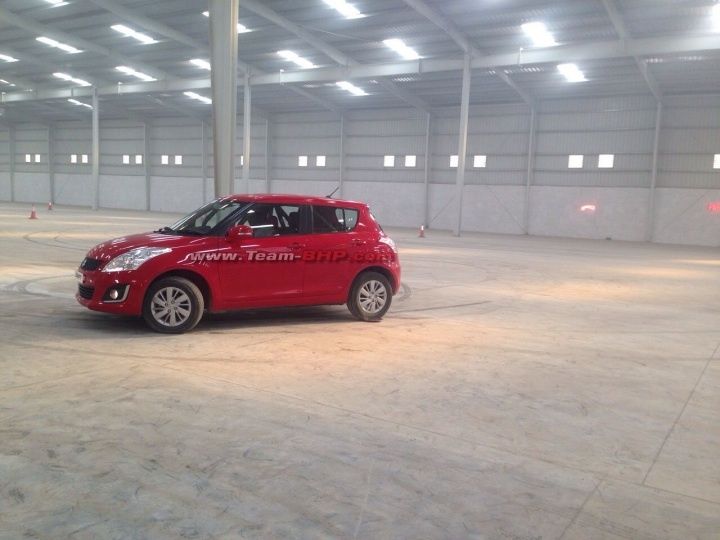 While we already knew much about the soon to be launched car, the latest pics, if nothing else, indicate that the car is very close to stepping into the market. 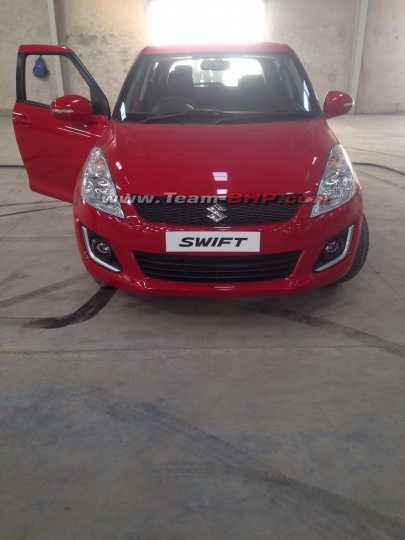 As can be seen in the Swift facelift images that we have here, the car’s exterior gets chrome inserts near its fog lamps. These chrome strips replace the LED DRLs present on the international spec Swift facelift. Along with these splashes of chrome, the car also gets new design alloy wheels, chrome door handles and new design wheel caps for the lower-end variants. On the inside, the top-end variant gets new steering-mounted Bluetooth controls, an engine start-stop button and reverse parking sensors. The features list too would be longer, thanks to addition of auto-up for the driver-side power window and electric fold feature for the outside rear view mirrors. Mechanically, the car will remain unchanged and will continue to be powered by the same 1.2-liter K-Series petrol and Fiat-sourced 1.3-liter DDIS diesel engines that power the current model. Both these motors come mated to a five speed manual gearbox. Unlike what was being said earlier, Maruti doesn’t seem to be in the mood to offer an automatic transmission on the Swift petrol. Also, unlike what was being speculated earlier, the manufacturer has no plans of launching a more powerful Sports variant, which was rumoured to come with the more powerful 1.3 liter oil burner in 90 PS state of tune. It would now be interesting to see if the the updated Swift would be potent enough to fend off the increased heat from fresh rivals like the Hyundai Elite i20.